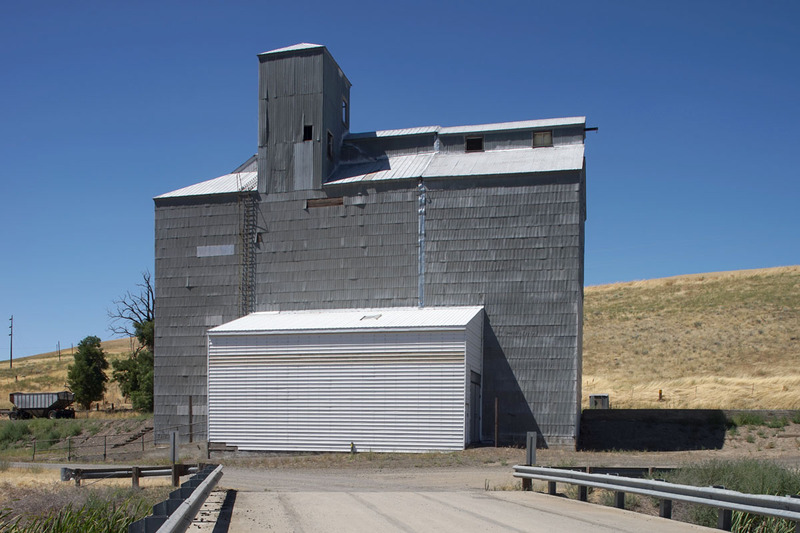 During the summer of 2017, I tried to photograph every public grain elevator in Whitman County, and on July 17, photographed the crib elevator in the small community of Hay, located about 90 miles from my home in Spokane. In the spring of 2018, I learned that this elevator was being torn down in order to salvage the wood, to be converted into flooring. 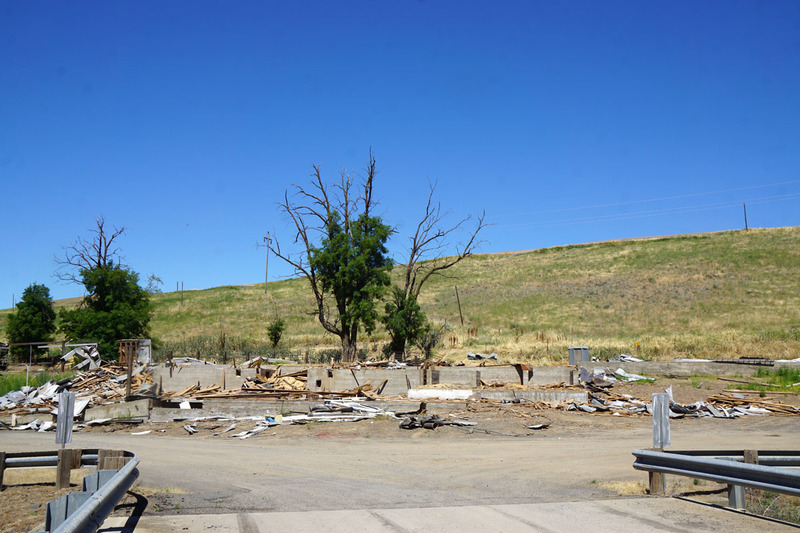 I visited the site in March 2018, right as the razing of the structure began. I met some of the workers on the job, and had a tour of the inside of the elevator–discovered that the last occupancy permit on the wall was dated 1999. Apparently the elevator has not been used since then. In March, some of the metal sheathing had been removed from the outside of the building, and several cuts had been made in the wood structure through the outside walls. By April 11th, the covered unloading area had been removed, as well as the wood in the corners. Progress seemed slow. By mid May, the west end and the tower had been removed, but the structure still towered over the landscape. When I made a visit on June 27, the structure had been razed to the foundation. I’m not sure what I found most shocking about the scene–the complete disappearance of the structure, or the sudden appearance of the tree behind it. There is still some site clean up to be done, but the building is gone. 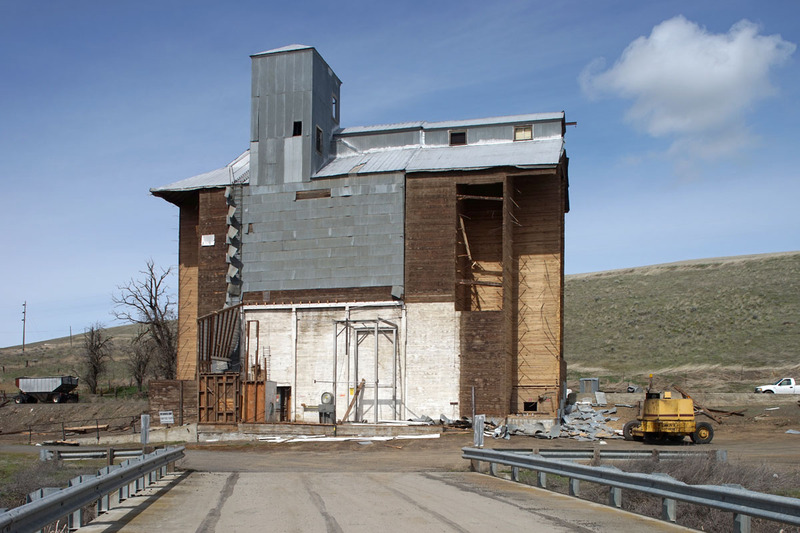 In my own limited time here, I’ve witnessed the razing of grain elevators at Sperry (Franklin County), Belmont, Crabtree (a pile of rubble by the time I arrived), Shreck, Grinnell (a flathouse), and now Hay. 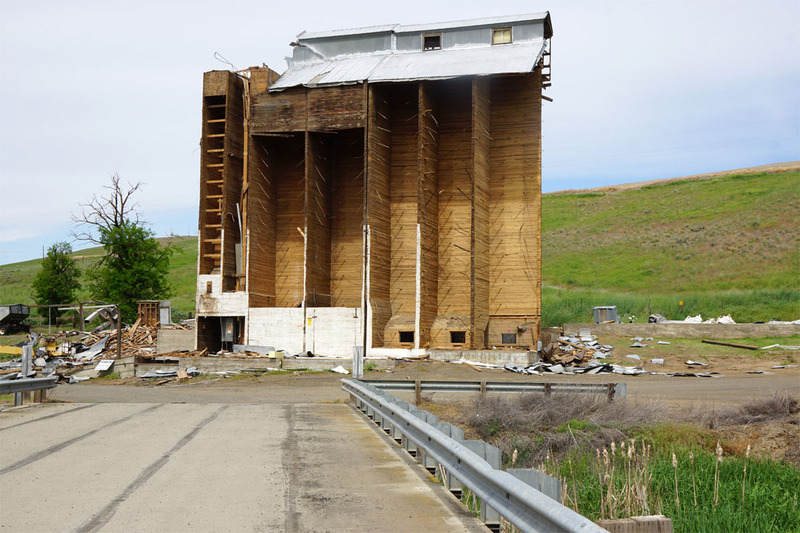 I have mixed feelings about the deconstruction of the grain elevator at Hay. Obviously, the elevator was no longer being used, and so served no useful function. Converting the wood into flooring is a way of finding a new use for the materials, and removed a hazard. 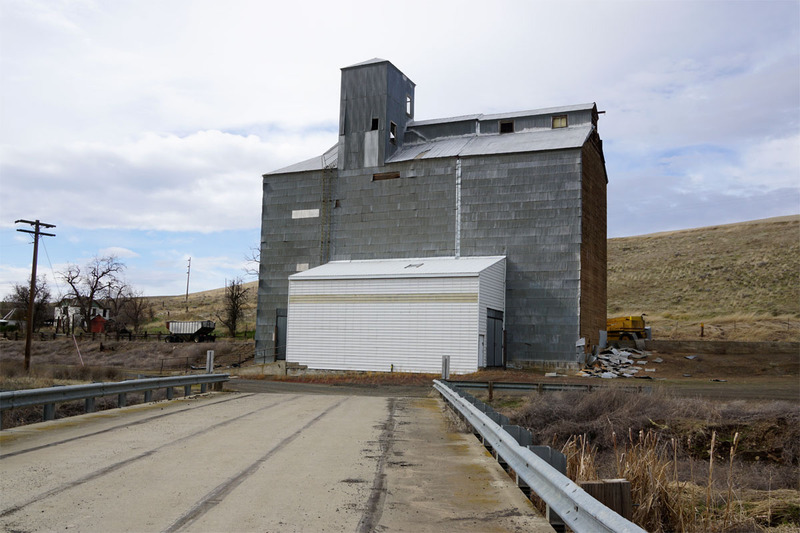 On the other hand, it’s removal is evidence of the changes in agriculture–to bigger fields, bigger combines, bigger grain trucks–and bigger grain handling facilities. Fewer people are needed to produce more grain. In speaking with the workers at the site, they are scheduled to raze more of the old wooden crib elevators in the area–they estimate that they have at least several years worth of work lined out in front of them.